Final Fantasy XIV recently updated, adding a long-awaited area called Eureka. Whether or not this content was worth the wait is under fierce debate however, with many people grumbling that it’s nothing but a monster and FATE grind, with lackluster rewards that aren’t as good as the current armor available by farming Tomestones of Mendacity. The concept is simple and reminiscent of the old MMORPGs before World of Warcraft came and changed everything. In fact, Eureka is designed to be nearly 100% pure Final Fantasy XI nostalgia. Unlike the fast and mostly quest-based leveling of Final Fantasy XIV and most modern MMORPGs, Final Fantasy XI was a long slow grind. Sure you could kill monsters by yourself and gain some experience, but it was far more worth your time to form a group of six people and form a camp, killing monsters over and over as a group. 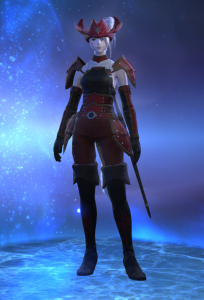 I remember it took me a year of playing fairly regularly to reach level 75 on my original Red Mage. In addition, FFXI had “Notorious Monsters”, powerful versions of monsters with unique names and awesome rewards that would spawn very occasionally under certain conditions. It was often a competition (sometimes a very bitter one) to claim the monsters and kill them for whatever they dropped. Whether you hate it or not, Square-Enix went in with the best intentions. As it seems to have been designed, players are supposed to enter Eureka, set up a camp, and grind monsters to gain experience and crystals that are traded in for new weapons and armour. As you kill regular monsters, there’s a chance for a FATE to spawn with a Notorious Monster to kill. These Notorious Monsters are even named after some of the famous FFXI NMs, and have a chance to drop glamour versions of the old FFXI gear like the Emperor Hairpin and Scorpion Harness! Of course, the player base immediately found a “better” way of playing. Everyone forms a big mob and runs around the map together, killing monsters and getting no EXP for it, but forcing the Notorious Monster to spawn. The NM is then murdered for TONS of experience points, and the train moves on to the next set of monsters can can trigger a FATE. It’s significantly more efficient, but I don’t think it’s even remotely what Square-Enix had in mind. Personally, I really enjoy it. It reminds me of FFXI which is still my favorite game, and is a change of pace from running dungeon roulettes every day. I can’t wait to see where it goes from here.